Photo from Chicago Police manual from the 1980s, the pyramid and the sun were not well drawn here. The Puerto Rican Stones or P.R. Stones were somewhat born out of an African American gang known as the Black P Stones. By 1968 the Black P Stones were growing at an incredible rate having thousands of members on the south side of Chicago. By 1968, there were lots of Stones in the prison system and this is when a prisoner by the name of Danny Velez came into contact with the Stones. Velez came to the Stones because he was ticked off that his own gang the Latin Eagles accused him of tattling on them to the correctional officers. Velez took major offense to this accusation because he was no snitch, he wanted revenge for this and could not get hooked up with any other Latino or white mobs because the Eagles completely black balled him. Velez then went to the Black P Stones and boldly asked to join them even though the Stones did not take in other races. I am pretty sure Velez needed to prove himself first and I could imagine it probably would have involved taking care of a Stone enemy in prison. It is also known that Puerto Rican people have deep African roots in their ancestry so that was probably another deciding factor. Danny Valez was able to be a part of the Black P Stone Nation in the 1960s while in prison as he started his own group of Stones called the “Puerto Rican Stones” alongside Tito Saprio and James Santana. Once the organization was put together, Velez was expecting to have a seat on the “Main 21” council of the BPSN; however, he was turned down due to the fact that he and his P.R. 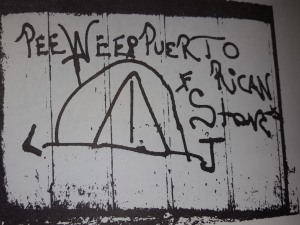 Stones were not black, not only that Velez was told by the BPSN that his organization was not a part of the Black P Stone nation once he got released in 1968; however, the Stones would be allies of the Puerto Rican Stones but not family. In 1968 Velez was let out of prison and he landed on the street corner of Barry and Sheffield in the Lakeview neighborhood on Chicago’s north side. At this corner many young pre-teen age youths in the area joined the P.R. Stones between 1968 and 1969 and they began congregating in the Kenmore Playlot at 3141 N. Kenmore Ave. The first enemies of these Lakeview P.R. Stones were the Simon City Royals who also arrived in the neighborhood in 1968 and the Latin Eagles because Velez declared war on them. By the early 1970s the Stones were battling the Aristocrats as well, especially since the Stones were opening territory at Belmont and Clifton, Wilton and Barry and Wellington and Kenmore. As the 1970s rolled in, Velez went on to conquer territory at Lawrence and Kedzie in the Albany Park neighborhood. 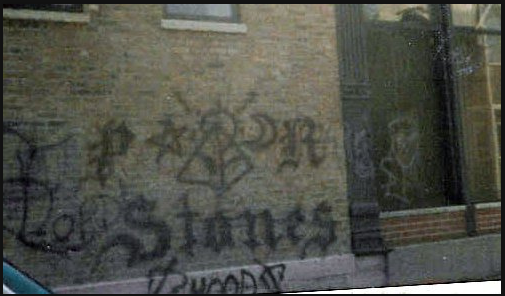 The Stones would also open in the Logan Square neighborhood at Diversey and California where they built up a solid stronghold until 1992. In April, 1978 when the People Nation alliance was created the P.R. Stones were invited to join which brought them back into an alliance with EL Rukns. This would also ally the Stones with Latin Kings because back in the 1970s Latin Kings and P.R. Stones were not friends but instead rivals. On Saturday March 10, 1979 the P.R. Stones made a name for themselves when they gunned down the leader of the Latin Eagles in broad day light in the middle of a busy shopping area. On this day Ignace Kholl A.K.A Walter Knapp “The Iceman” who was known to be a Latin Eagles enforcer that just got promoted to becoming the leader a few months before was shot to death around 1 in the afternoon out in front of Goldblatt’s Department Store at 3149 N. Lincoln Ave (near the six corners intersection of Lincoln Ave, Ashland and Belmont) in the Lakeview neighborhood. A young member of the P.R. Stones walked up behind him with a nickel plated revolver and shot him in the back of the head then calmly walked off and disappeared into the crowd (Chicago Tribune, March 11, 1979 P. 1) A few years later in 1983 the P.R. Stones from Leland and Kedzie were accredited for killing the Simon City Royal’s leader Todd “Dillinger” Brewer in the Albany Park neighborhood as the two gangs disputed each other for power in the neighborhood. Once again the P.R. Stones were known for cutting the head off the snake. The Future Stones started at the intersection of Leland and Kedzie but the “Future” part of their name did not mean they were Future members of the P.R. Stones. I personally theorize that the Future Stones were created with a certain alliance from the immediate start with the P.R. Stones, I do not think they just started then happened to form an alliance and absorb into each other. The history of the Future Stones is a little sketchy but, nevertheless, the Future Stones and P.R. Stones were united in Albany Park and in no time and the Future Stones were immediately part of the People Nation alliance. I am not going to get into the whole Future Stone of La Familia Stone histories on this page because I have their histories on separate pages you can view for Futures and Familias. 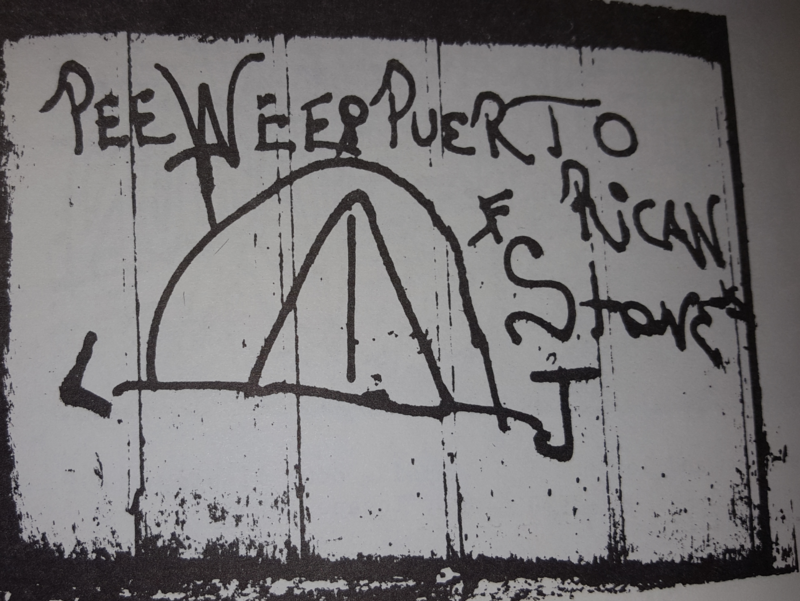 BY 1987 the Puerto Rican Stones were upset once again with their allies the Latin Kings. The P.R. Stones hated the Latin Kings for the first decade of the Stone’s existence and were forced to get along with the Kings once the Stones joined the People Nation, but now Latin Kings were moving in on drug territory controlled by P.R. Stones and it was angering higher ranked members, this is when the Stones held a meeting with the Insane Deuce leader “Blade” and Ghetto Brothers Organization members to discuss declaring war on the Latin Kings together, but the plan ended up not going through. The P.R. Stones slowly moved into retirement in the later 1980s as youths were more geared toward joining the Future Stones instead of P.R. Stones and P.R. Stones were no longer big on recruiting anyway, then by the early 1990s recruitment completely stopped and members were retiring left and right. the P.R. Stones went extinct by the mid 1990s and instead assimilated with the Familia Stones to create one big family that combined P.R. Stones, Future Stones and Familia Stones under one umbrella, but only the Familia Stone name would remain on the streets. The P.R. Stone last big piece of attention was a Brown’s Chicken shooting incident in the Palatine, Illinois suburb on January 8, 1993 at 168 W. Northwest Highway. Gang members Juan Luna and Joseph Degorski shot and killed 7 employees including the two owners during a robbery of the restaurant. The case was unsolved until 2002 when both were arrested and convicted. Both of these men were alleged members of the P.R. Stones. That was the last heard of the P.R. Stones. Most members retired or went to prison. Please send in 1960s and 1970s pics? Was Danny Velez a Black P Stone member right before he started the P.R. Stones, or was P.R. Stone created right away? What happened to Danny Velez? What year was he out? What is the time line of leaders before the year 2000? What year did Albany Park open? What year did Logan Square open? Why did the P.R. 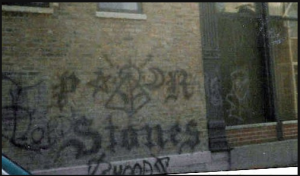 Stones and Latin Kings not get along in the 1970s before the People nation? What exact year did the P.R. Stones completely decide to close up shop?